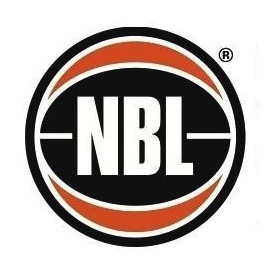 ONLY one SBL quarter final series is still to be decided on Sunday after the Joondalup Wolves women, and East Perth Eagles, Lakeside Lightning and Geraldton Buccaneers men all wrapped up their quarter final match ups on Saturday night. It was the Game 3 between the Lakeside Lightning and Stirling Senators in men's action at Lakeside Recreation Centre that became the story of the night, and the SBL season, with three overtime periods being needed before the Lightning prevailed with Brad Tinsley scoring 56 points. There were two women's quarter final Game 2 match ups on Saturday night with one series being forced into a Game 3 on Sunday and the other being decided. Following the Orange Autos Rockingham Flames and Lakeside Lightning booking their semi final spots on Saturday night, the No. 3 seed Joondalup Wolves joined them with a 70-58 victory over the Stirling Senators in Game 2 at Joondalup Basketball Stadium. The other Game 2 on Saturday night saw the Kalamunda Eastern Suns defeat the Soprano Lady Cougars 84-73 at Ray Owen Sports Centre to force a deciding Game 3 at the same venue on Sunday afternoon with tip-off set for midday. The Wolves got better as the night went on against the Senators with Stirling taking a 34-31 lead into half-time, but the home team got going after the break outscoring their opponent 39-28 in the second half to record the 12-point win. That means that the season is over for the Senators while the defending champion Wolves have booked in a semi final meeting against a Lakeside Lightning team now on an 11-game winning streak. Nikita-Lee Martin was the only Joondalup player on Saturday to score in double-figures finishing the night with 18 points, six rebounds and four assists. However, there were plenty of contributors with Chelsea Burns scoring eight points (six rebounds, four assists), Ellyce Ironmonger eight (11 boards), Alex Kerr eight, Tayla Hepburn eight, Megan Lee eight and Amy Kidner eight (eight rebounds). Taylor Wild was also the only Stirling player to reach double-figures in scoring ending up with 26 points while shooting 11-of-21 from the field and 4-of-9 from three-point range. The Eastern Suns and Cougars match up is now the only one left to be decided on Sunday after the No. 4 seed Suns beat the No. 5 seed Cougars by nine points at home on Saturday night. Jennie Rintala led the way for Kalamunda with 27 points, six rebounds and three steals while hitting 10-of-19 from the floor and 5-of-9 from three-point territory. Alison Schwagmeyer also had a terrific night for the Eastern Suns with 25 points, six boards and four assists while Melissa Moyle contributed 10 points. Playing coach Deanna Smith had a good night for the Cougars with 18 points, six rebounds, four assists and three blocked shots with Marita Payne contributing 16 points, 11 boards, six assists and five blocked shots. Taryn Priestly also had 16 points, seven rebounds and four assists for Cockburn with Emma Pass adding 11 points and seven boards. There was then just the one men's Game 2 quarter final match up on Saturday night and that saw the Sun City Plumbing Geraldton Buccaneers win their way straight into the semi finals with a thrilling 93-92 win over the Collie Crane Hire South West Slammers at Active West Stadium. The other two Saturday night's men's fixtures were deciding Game 3 matches with the Vorian Agency East Perth Eagles beating the Orange Autos Rockingham Flames 92-81 at Mike Barnett Sports Complex and the Lakeside Lightning prevailing over the Stirling Senators 150-144 in an amazing triple-overtime epic at Lakeside Recreation Centre. 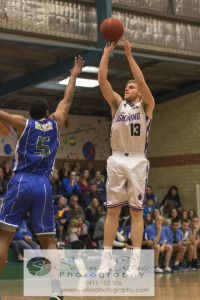 The Buccaneers finished the regular season as the minor premiers in the men's SBL and took on the No. 8 seed Slammers in the quarter finals, and secured a 2-0 series win with a thrilling one-point win at home on Saturday night. While the series was a lot tougher than the sweep suggests, it means that the Buccaneers now advance to take on the Lakeside Lightning in the semi finals. Aaron Ralph led the way for the Buccaneers with 29 points and 16 rebounds while Bennie Lewis contributed 25 points and Carter Cook 14. Markus Monroe top-scored for the Slammers with 23 points and 10 rebounds while Clive Weeden scored 17 points (eight rebounds), Trent Worthington 14, Wade Hitchcock 13, Jason Smith 12 and Ty Harrelson finished with another triple-double as playing coach with 11 points, 12 rebounds and 12 assists. Rockingham might have been vying for the minor premiership throughout most of 2014 and finished the regular season in second position in the standings, but the season for the Flames is now over after the No. 7 seed East Perth won Game 3 on Saturday night in Rockingham by 11 points. The Eagles have now booked in a semi final match up with the on-fire Perth Redbacks. Perth Wildcats championship-winning centre and reigning NBL Rookie of the Year Tom Jervis again led the way for the Eagles with 22 points, 15 rebounds and four blocked shots while hitting 8-of-13 from the field. Kyle Armour also finished with 20 points and six assists for East Perth, Drew Williamson 16 points, Austin Kisselev 16 points and eight rebounds, and Joe-Alan Tupaea 10 points, six rebounds and six assists. Cooper Land top-scored for the Flames with 22 points and eight rebounds with Ryan Godfrey adding 14 points. Taylor Land added eight points, 10 rebounds, eight assists and three steals. The Lightning and Senators played out a Game 3 quarter final for the ages on Saturday night with three overtime periods needed before eventually it was the defending champion Lakeside who prevailed by six points in a match featuring 294 points between the two teams. The result means that the Lightning win the series over the Senators 2-1 to now book in a semi final match up with the Geraldton Buccaneers. Brad Tinsley became the only player of the 2014 SBL season to break the 50-point barrier in the triple-overtime contest finishing with 56 points, seven rebounds and six assists for the Lightning on the back of shooting 17-of-33 from the field, 4-of-8 from downtown and 18-of-21 from the charity stripe in 52 minutes of court time. Chris Sofoulis spent 55 minutes on the floor and finished with 28 points, nine assists and eight rebounds with Caleb Palkert contributing 14 points, 10 rebounds, five assists and four blocks in 58 minutes. Brad Jackson and Jesse Dixon also scored 20 points each for Lakeside while Jarrad Prue had 10 points, 26 rebounds and three blocks. Cody Ellis played a game-high 59 minutes and finished with 28 points, 11 rebounds, four assists and two blocks for the Senators while Josh Throns top-scored with 42 points, seven rebounds and five assists on the back of shooting 15-of-29 from the field and 8-of-15 from three-point range. Jordan Wild added 20 points and 11 rebounds for Stirling, Tom Witts 15 points, Austin Bruton 15 points, Ryan Woodbury 13 and Cory Cooperwood 11 to go with eight rebounds and seven assists.